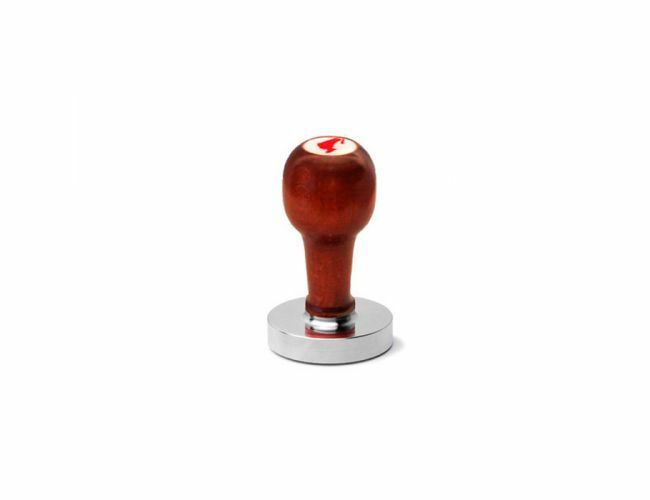 Julius Meinl's premium quality Espresso Tamper for a perfect coffee experience and ideal brewing results. Tamping forces more water over the finely ground coffee and gives an excellent taste and flavor as well as a rich, thick crema. Handle: comfortable wooden handle, ball style. Base: polished stainless steel, flat tamp surface 5.8 cm / 2.28 inches diameter. Total height: 9.4 cm/ 3.70 inches.